The idea that small spaces are destined to be cramped and uncomfortable is wrong – a small space can be every bit as elegant and stylish as a large one. 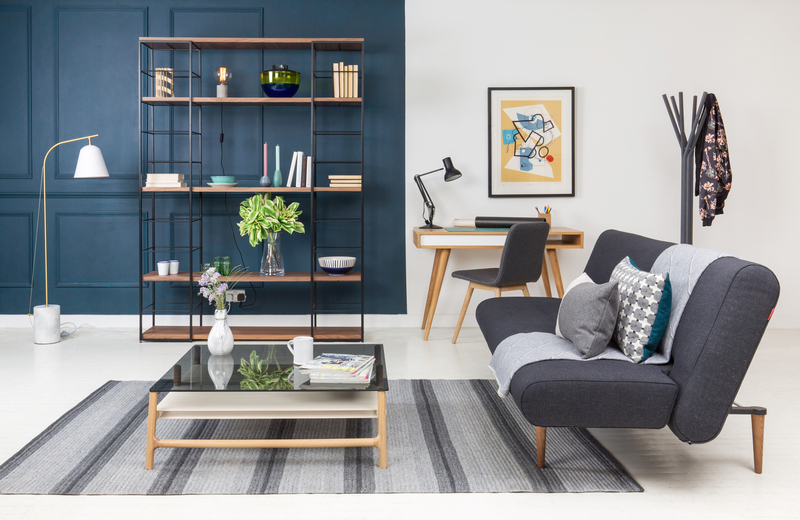 It’s all down to how you lay out, furnish and accessorise the room. With the right tips, styling your small space doesn’t have to be a dreaded and difficult process; it can be a fun and rewarding challenge. Good design is always important, but it’s crucial when space is at a premium. Tiny details make a big difference in small rooms, so each element needs to be carefully selected. There’s no room for unnecessary furniture or artwork that’s not quite right. You need to love and use everything you put in a small space. Whether you’re looking for inspiration to style your small living room, bedroom or dining room, let our comprehensive guide help you decorate your space. Make your living room work better for you with space-enhancing and multi-functional furniture. 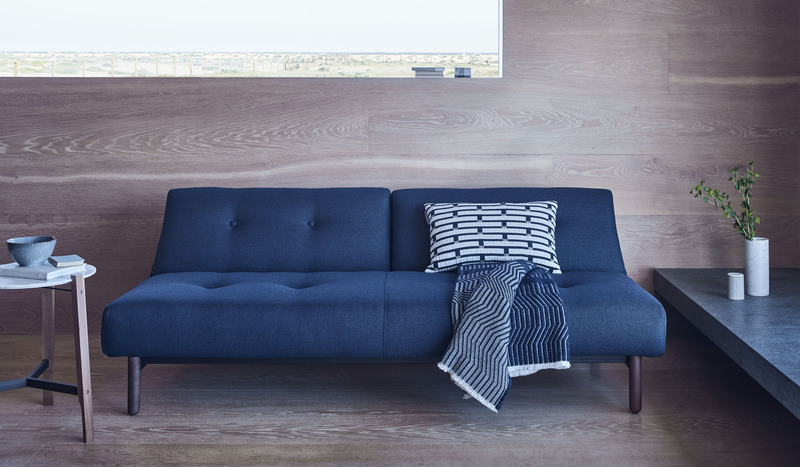 When considering sofas for a small home, a luxury loveseat is a great option. 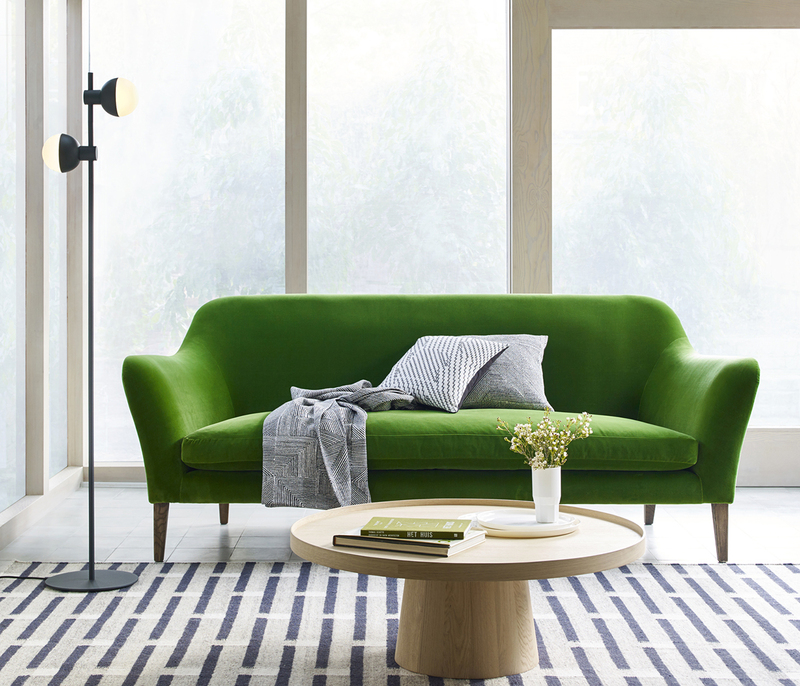 With a generous chair for two to share, a modern loveseat is ideal for snuggling on cosy nights. You have enough room for your partner or extra space to stretch out if you’re by yourself. For another great sofa choice, explore our Brunel range, available in two, four and corner seater options. 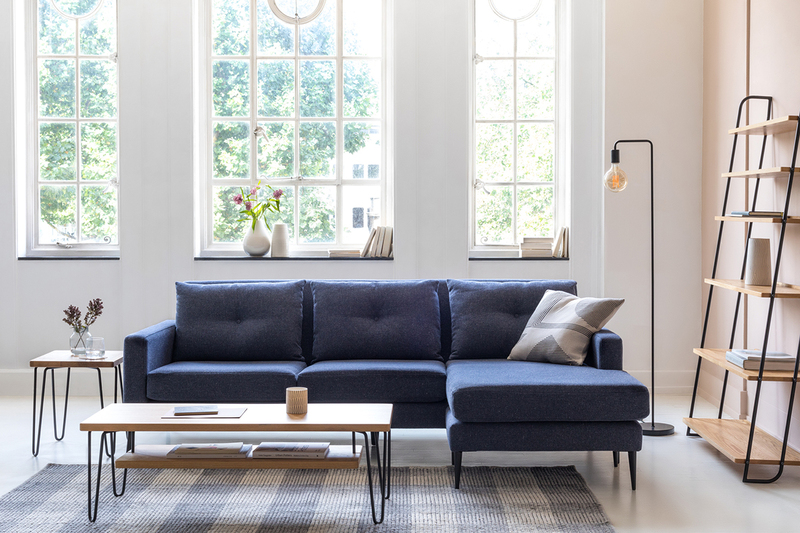 This compact and functional sofa is perfect for city dwellers who need a comfy place to relax but might be short on space. Inspired by both Mid-Century Modern and Industrial styles, it complements most design aesthetics. You don’t have to sacrifice having a coffee table in a small living room. Go for a round coffee table around which you can easily place other pieces, a nest of tables that neatly layer underneath one another or a glass coffee table to give an airy, spacious feel to the room. Use cleverly designed wall mounting or freestanding shelves to maximise your storage space. These pieces are ideal for displaying decorative knick-knacks, ceramics, framed photos and books. For a small living space, use abstract artwork and rugs as a focal point to distract the eye. Be sure to keep it minimalist – you don’t want to overcrowd the space and make it feel even smaller. Using white, light grey and other pale colour schemes lets light bounce off the walls, creating the illusion of a larger space. Introduce a pop of colour with plush cushions in vibrant colours and prints. Let plants add depth to your small living room; they help to fool the eye into thinking there’s more to the room than there actually is. Well-placed greenery brings a bit of the outdoors into your home. Styling tip: keep seating close together to create an intimate and cosy atmosphere. 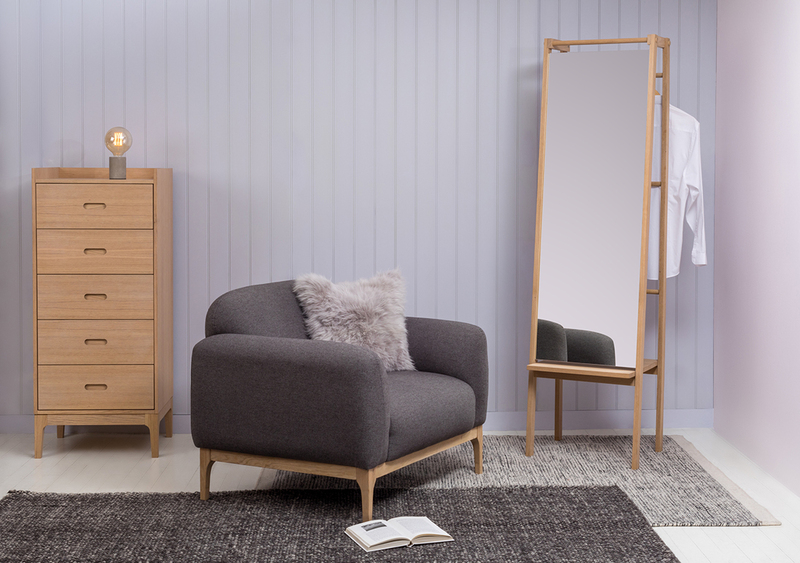 Turn your snug room into a dreamy retreat with smart bedroom furniture and accessories. Proportion matters a lot in a small space. When choosing a bed to suit your small bedroom, make sure you choose the right size. Going for too large a bed will throw off the room’s sense of balance and may come at the sacrifice of bedside tables. Skip the headboard; it will only make your bedroom appear more cramped. Instead, opt for plenty of layers and cushions to make your bed feel more inviting. Look to multi-functional sofa beds as an alternative to regular beds, especially in guest bedrooms. For bedside tables, round ones offer a bit more space, while square ones line up perfectly against the bed’s form – it’s up to your style preference. More important is the table’s base. Go for a piece that’s not bulky or box-like, but rather a single drawer unit on slim legs to create a sense of air flowing through. You can also skip a bedside table entirely and instead put a chair next to your bed. It doubles as extra seating if you have guests and a place to put the books and magazines you’re reading. This works best if you have ceiling or wall-mounted lighting. 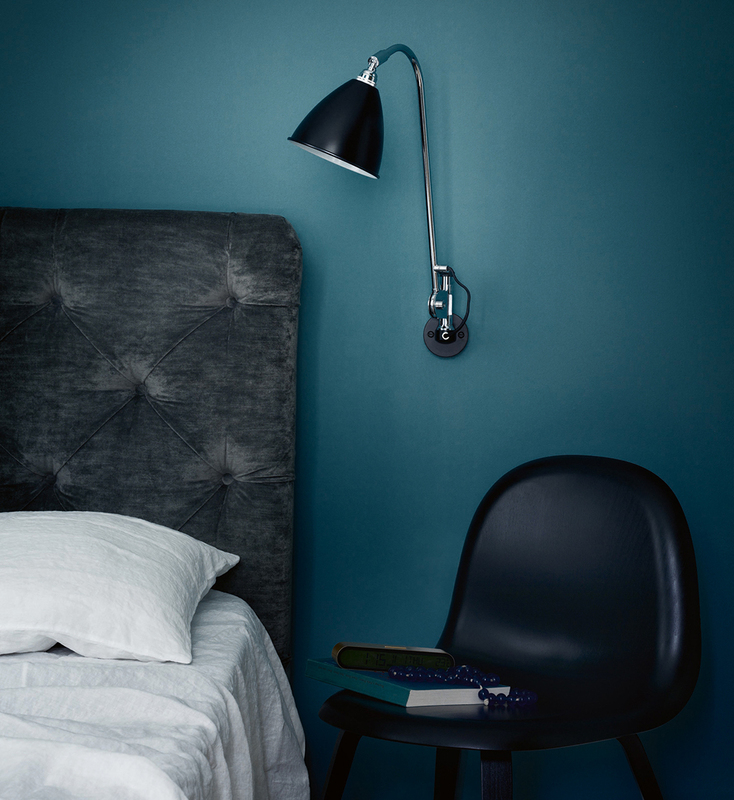 For a similar look, take a look at this black wall lamp by Gubi. A wall mounted light frees up valuable bedside table space. If you can’t squeeze a wardrobe into your small bedroom, use a sturdy clothes rail instead. Or a bed with built-in storage in the form of drawers neatly tucked into the frame. Add full-length mirrors either on the floor or against the wall to make a small bedroom feel larger. Simple and space-saving bedroom lighting will serve you well; a pendant light or wall sconce free up valuable floor and table space. For a chic bedroom look, place a neutral toned fur rug and soft cushions or throws to finish off the room with a dose of cosiness. The Push Floor Standing mirror has hidden storage behind it. Styled here with pieces from the Morten collection. Styling tip: set your bed against the window to save on wall space. The window and curtains also create a focal point and make the room feel sunnier and airier. With a few good décor ideas, you can make the most of your limited dining space – whether it’s an actual room or just a little nook. Use one of our round dining tables to enhance both your dining experience and dining space. 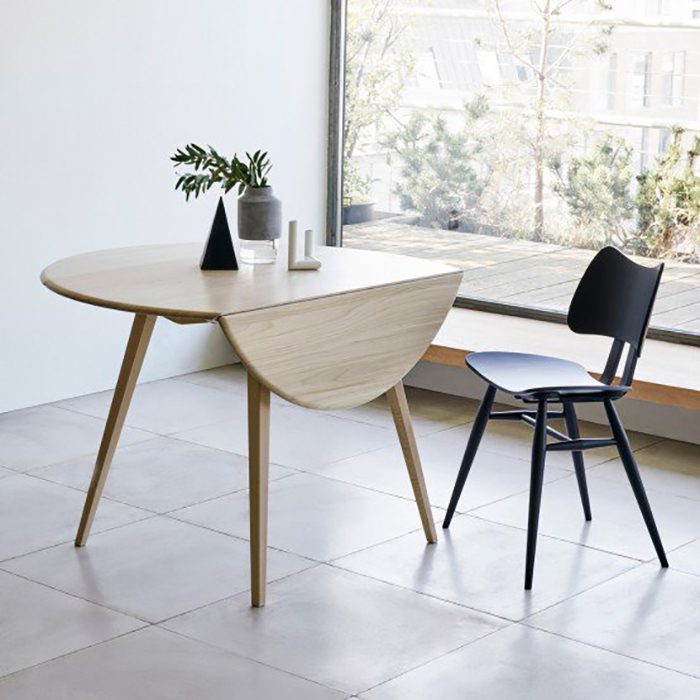 Circular tables are great for socialising, so they’re an excellent option if you entertain frequently. A light wood finish or glass will help to keep your space feeling open. Choose space-saving dining room stools or ones that are stackable – they take up less space but still provide the extra seating you need to host larger groups. 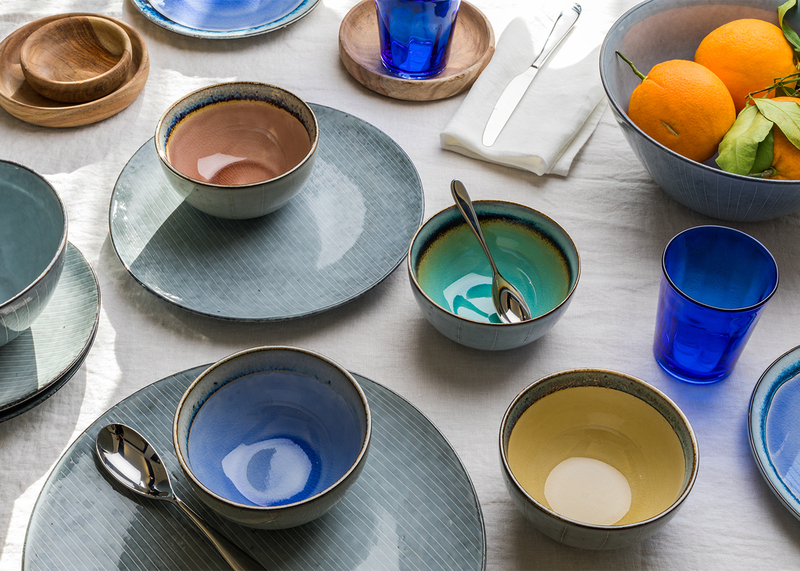 While you might want to be restrained when it comes to furnishing and accessorising in a small dining room, you can let loose with your tableware. Don’t hold back – add bold colours and patterns as much as you can. This is your chance to make a statement at your next dinner party or perk up a weeknight takeaway. Hang a designer pendant light or chandelier over your dining table to elevate your small space with a sense of grandeur. The Dakara range is rich with colour and features an eye catching reactive glaze design. Styling tip: keep your space multi-purpose – your dining table can double as a desk when you’re working from home. This entry was posted in Guides, Interior Design Ideas. Bookmark the permalink.